When concerts or other events involving Cartoon Violence are announced, they will be posted here. Rockage has come and gone once again, but you can watch this video and dream of days gone by! 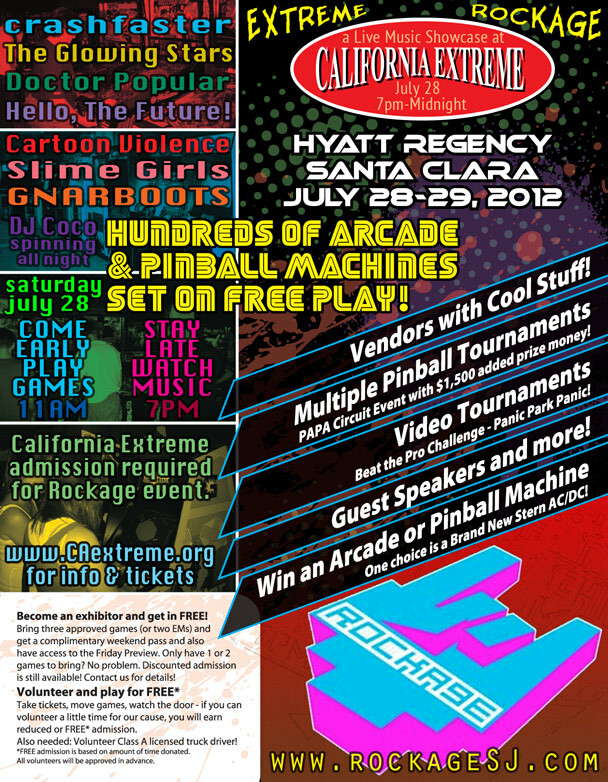 Stay tuned for next year’s Rockage4.0 by following @RockageSJ and RockageSJ.tumblr.com. 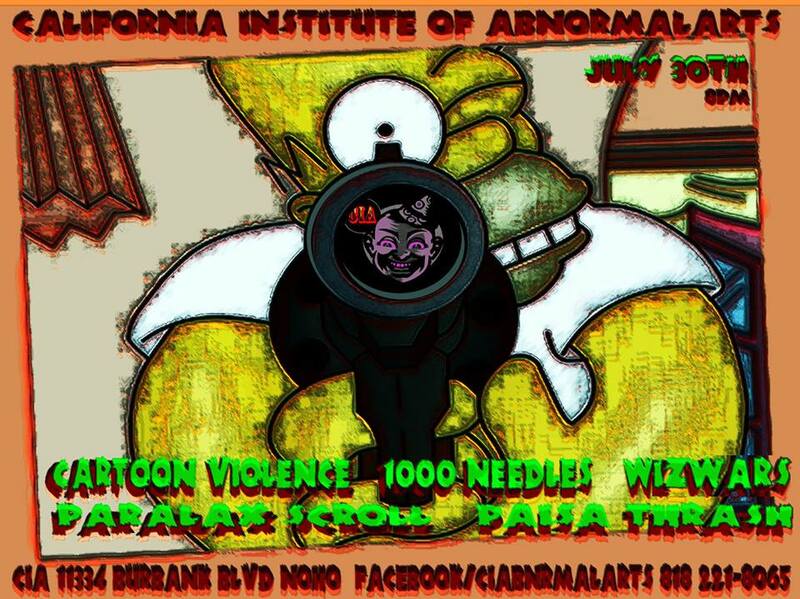 2014 will be the year of Cartoon Violence. Our CD release show will be announced in January, and we will be rocking with 25+ cool bands at Rockage: San Jose in February! We’ve even got a surprise Xmas present for you this year, so stay tuned! We’ll be playing a free show at the Blank Club in San Jose this next Wednesday, August 7, opening for Dustonious Maximus and Night Gaunts. We just pressed a new run of T-shirts we will have for sale at $15 each. Come see us after our set! Do you like pirates? Do you like radio? Then you’ll love Cartoon Violence on pirate radio! We have been invited back on to DJ Dynamatt‘s Radio Voices show on Berkeley Liberation Radio. We will be hanging out with some friends, playing some recordings of our newest songs, playing live versions of our songs in the studio, and communing with the universe via electromagnetic waves. 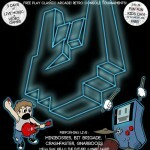 We were asked by our friend Morgan of Crashfaster to open up the inaugural show of the 8bitSF series at DNA Lounge in San Francisco. The sound is a bit blown out, and the video got cut off after 15 minutes. Life is an imperfect series of random events! Our song about robot sexual innuendo will once again be accompanied by our good friend Vaudie Va-Boom doing her robot strip tease. It will be good fun for all. This event is sponsored by the International Game Developers Association and YetiZen. 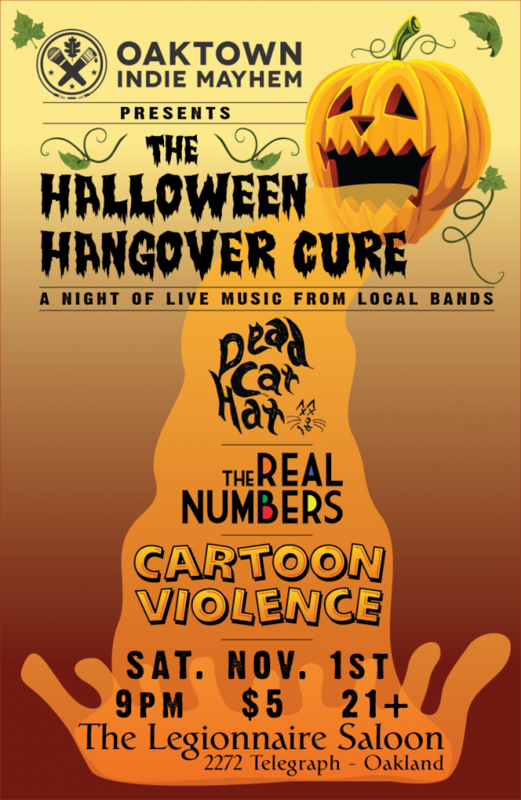 Cartoon Violence is super excited that we are going to be performing at this year’s Rockage 2.0 event. Our good friend Eric Fanali puts on this great event every year, which is not to be missed. A room full of arcade games on free play, plus side booths with consoles and contests going on, all with live music on stage. We play at 2:00pm on February 9th, but you should buy a 3-day pass. That way you’ll have plenty of time to play all the games, see all the bands, enter all the contests, and try all the food trucks!